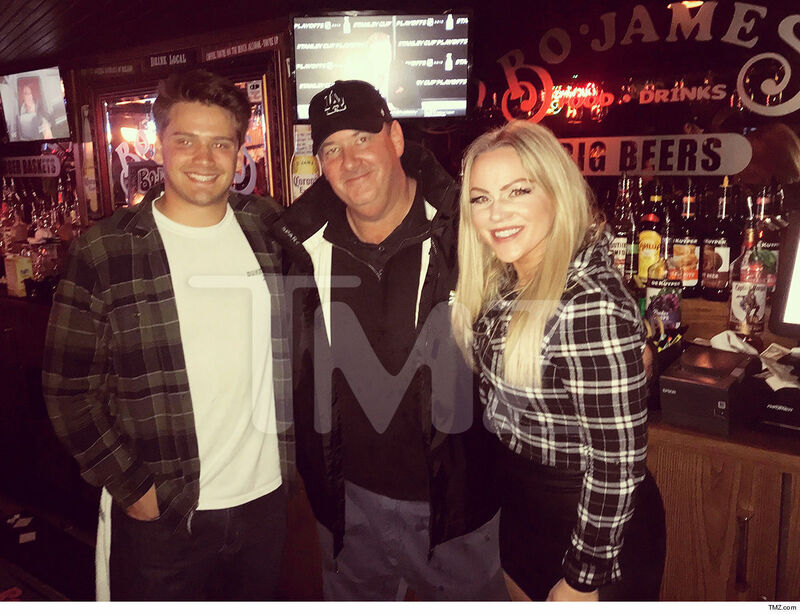 Brian Baumgartner — aka Kevin Malone from “The Office” — was the life of the party at an Iowa bar this week, throwing back shots with college kids and leaving a meaningful tip. We got these pics of Brian crashing country night at Bo-James bar in downtown Iowa City … and you can tell he had one hell of a night! Folks who were there tell us Brian surprised everyone when he strolled in at 9 PM on a Wednesday, and he was cutting loose and boozing it up like a frat bro. We’re told Brian was downing Crown and Cokes, and he even climbed behind the bar to do a little bartending! As you can imagine, Brian’s rager was a big hit … and we’re told everyone was clamoring to buy him a round. 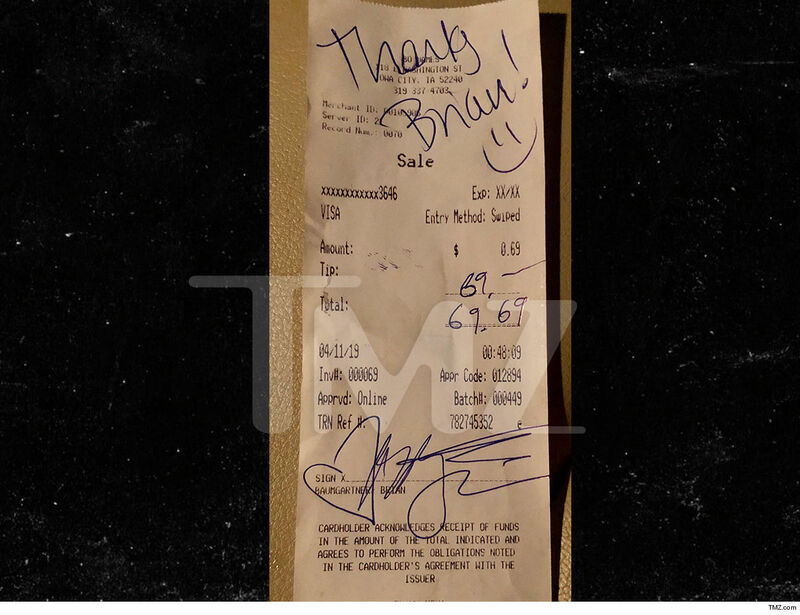 Brian’s a celeb, so he asked the bar staff to charge his card so he could leave a tip — and they both had fun with the number 69! Brian’s in town for a speaking engagement at the University of Iowa, and we’re told he partied the night away at the student hangout until 1 AM. Booze wasn’t the only thing on Brian’s brain … he also played darts and belted out some country songs. Can we all go back to college?! ?